After the death of her mother, Bella returns to her childhood home to comfort her father, but the two have never really had a closeness to their relationship, and her father’s need to tell her something important and his inability to do so makes the distance feel like a chasm. After another tragedy, Bella finds out things about her life and family that questions everything she has ever known to be true. She finds herself on a journey that takes her to the Cornish coast where she finds people who know more about her than she knows herself. The descriptions of the the Cornish setting and the weather gives a claustrophobic feel to the book and a deep sense of foreboding infuses the narrative. The Old vicarage, Bella’s childhood home, exudes a malevolence that makes you feel sure that you would never walk through the door. The depth to the characters in this book is phenomenal. Bella, who we follow as she stumbles through areas of her life that she never knew existed, trying to make sense of the decisions made on her behalf with barely a thought of the devastating ramifications. How she copes, how she struggles, how she feels; Bella is brought to life by Amanda Jennings in a way that touches the deepest part of you. But the author doesn’t just concentrate on Bella, the other characters are just as well drawn; David, arrogant and controlling; the wonderful Dawn, a survivor, against all odds, trying her best to get through each day; Alice, living with an all-encompassing grief, the sort that rips your heart out and takes away your entire life; Henry and Elaine, the nuts and bolts of this piece; even the lovely Phil who gives Bella, and us, moments of light relief. Amanda Jennings doesn’t flinch from the stark realities of people’s lives. 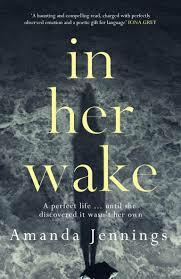 She exposes the flaws and mistakes but in such an empathetic way that leaves us feeling less judgmental than perhaps would be the case in a lesser author’s hands. This is a stunning story of heartbreak, identity, love and loss. It has the perfect title, the perfect cover and is the most beautifully written, breathtakingly powerful book. There are books that you read that you think are good, then there are ones that you think are brilliant, but on top of that there is another category: masterpiece. The Dollmaker is an absolute masterpiece. If the first chapter of this book doesn’t get your interest nothing will. Gertie Nevels is riding her mule down the hills of kentucky to try to get emergency treatment for her sick son. we get a real taste for Gertie in this chapter, her strength and determination shines through. Gertie and her family live in rural Appalachia. It is Gertie’s dream to own her own place and for her and her family to live off the land. But these are the dark days of WWII and the men are being taken away. The ones that aren’t conscripted are sent to Detroit to work for the industrial war machine. just when it seems that Gertie’s dream will come true; fate intervenes. Taking all the children, she follows her husband to Detroit where life could not be more different or difficult. Living in a project scheme for workers at the factories there is no space, no privacy, nothing except grinding poverty. But Reuben’s failure to fit in, to find any kind of life for himself brings about one of Gertie’s many upheavals. Gertie is such a brilliant character. in fact it is hard to think of her as a character in a book, she is so real your heart breaks for her. She is so strong and yet it seems impossible for her not to fall under the weight of her life. But she has children and responsibilities that she does not take lightly. there is a moment in the book when her husband says something to her that leaves you gasping. You wonder how she does not break, how she does not let hate take over her entire being. Gertie’s way of coping is whittling – sculpting from wooden blocks – she has a project that gives her some release from the hardship that she is living; but even that is somewhat taken from her and reduced to money-making. There are two distinct settings to the book; the first is Kentucky, home for Gertie and her family, and the descriptions of the way people lived during the wartime, waiting for news of relatives fighting abroad is potent. 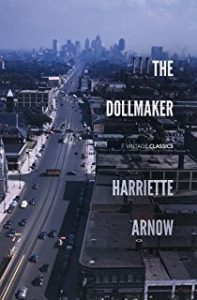 The second setting is Detroit, this setting of total poverty, of the steel factory blazing away in the background, the multitude of characters living and struggling together, gives such depth to this novel. The book is told in local dialect which is totally necessary and quite easy to pick up and run with. The war is always there in the background; although it is when it is over that most people are affected. When jobs begin to dry up and the animosity between employers and the unions wreaks terrible violence. There is such devastation and tragedy in this novel, it is not an easy read, but there is also such savage beauty, charm, elegance and grace. I have found it so hard to write this review because I know I can’t do it justice, this book will stay with me for a very long time. It is re-released by Vintage as a lost classic and it quite simply is. Lily shepherd is travelling to Australia, taking advantage of a government assisted place programme. She has to spend two years in domestic service when she arrives, but nevertheless she is looking forward to her new life and new adventures, hoping it will help her escape events from her past life. The ocean liner provides an existence bubble away from the protocols of real life; class boundaries blur and unlikely friendships are struck up. Set in the period leading up to WWII, many of the ship’s passengers are trying to escape the impending war and their own dark secrets. As the voyage goes on it becomes clear that something tragic is going to happen. I absolutely adored this Agatha Christiesque tale of decadence and intrigue. The sights, sounds and smells of this ocean liner are brought brilliantly to life by clever, astute writing of the highest order. The stop-overs at the various countries immerse you in the crowds, the bustle, the cultures; you don’t just read this book: you feel it and experience it. 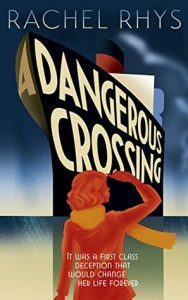 The characters are wonderful, Lily, who is at the heart of the story, trying to escape her demons and forge a new life; Max and Eliza, first class passengers who befriend Lily; the unstable George Price, with fascist leanings; Maria, a Jewish woman fleeing Europe and its impending war; and brother and sister Edward and Helena Fletcher who are also harbouring secrets. The cover of the book is just perfect, the huge liner about to take over everyone’s life and one of the passenger’s (Lily?) so small looking up to a new life, yet seemingly up to her neck in water. I am not sure how you would describe this book; it’s not classic murder/mystery with suspects, more historical drama with intrigue. However you describe it, it is wonderful, an absolute gem and highly recommended. The first thing to say about this book is that it is fabulous: I mean truly fabulous. The second thing to say is that it is scary: and I mean truly scary. The book is set in Bayswater, London; temporary home to a transient population. When a resident in one of the hostels goes missing and her friend goes to the police, D.S. 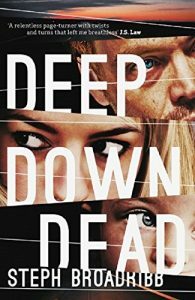 Geneva miller wants to investigate, but her boss D.I. Carrigan is sceptical until he is called to a murder site and the victim turns out to be Anna, the missing resident. Carrigan is already in trouble with his superiors over past misdeeds, so when the case seems to be mired, he has to reluctantly accept the services of profiler, Ed Hoffman. They are not the best of friends. The net is spread far and wide, encompassing countries, drugs,computer crime and social media. I loved the characters of Carrigan and Miller, they worked so well together, and Geneva is my favourite name ever! All the characters are well-drawn and come across as real people; no copy and paste cliches here. A book that is grounded in reality is always going to be unsettling and the premise here is extremely chilling. It will make you think every time you turn on your computer or go onto social media: how easy would it be for this to happen? This book is such a wonderfully written, intelligent crime thriller. 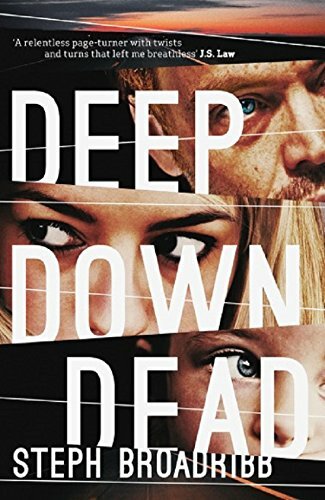 The layers of the crime are peeled away with subtlety to reveal twists, but also to deepen your understanding of the characters involved. This is my first Stav Sherez novel; I have no idea how this has occurred, but I am off now to grab hold of his first two books and really hope that it’s not too long before his fourth is out. Lori Anderson is a bounty hunter and is desperate for work to pay for her sick daughter’s medical bills. When she is offered a job for great money, she has to take it even though it involves bringing in her old mentor, J.T. – a man she has a lot of history with. J.T. is the ‘outlaw’ that Lori has to bring to justice. He has his reasons for doing what he has done and those reasons become apparent as the story unfolds, and we follow the characters on a chase across America, ending up in a theme park in Florida, where all their lives are in danger and they have to work together to survive. This is one action-packed thriller with characters that you really want to spend time with. Lori is such an original heroine; female bounty hunter and single mum. She is both feisty and warm, she is a character that you are rooting for from the start. J.T. is a fabulous character, just the right mix of strong and determined and compassionate and caring. The relationship between himself and Lori hums along. 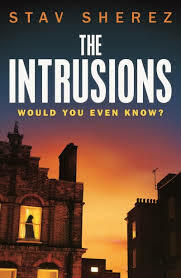 Steph Broadribb has written a compelling book that is a full-on page turner and unlike some action thrillers, it is not at the expense of character development. You need to make sure that you have plenty of time when you start reading this book because you really won’t want to put it down.